After the announcement of world cup squad 2019 by Australia, India and New Zealand, Bangladesh Cricket Board has announced their ICC cricket world cup squad 2019, in which 15 players are included. 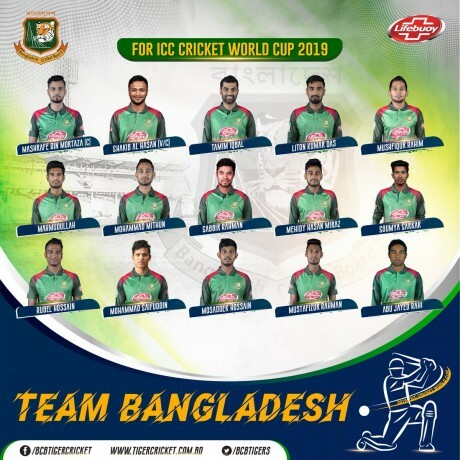 Bangladesh Squad for ICC World Cup 2019. 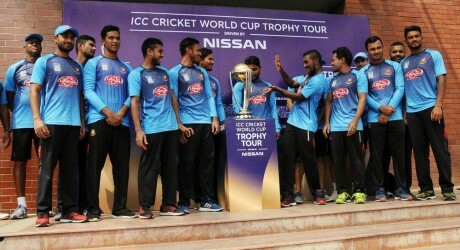 The BCB has announced the names of the players and Mushrafe Murtaza will be the captain of the national team while Shakib ul Hassan will be the vice captain of Bangladesh cricket team in the world cup 2019. Mushfiq ur Rehman is the wicket keeper batsman and Liton Das is also the wicket keeper batsman and both the players are in good form. Bangladesh cricket team will not be an easy opponent and it will not be easy to defeat them in the matches for all of the teams of the world. Mustafeez ur Rehman has some injury concerns but he is included in the national team and Abu Jayed Rahi is the new player, who is going to play ICC cricket world cup for the first time.